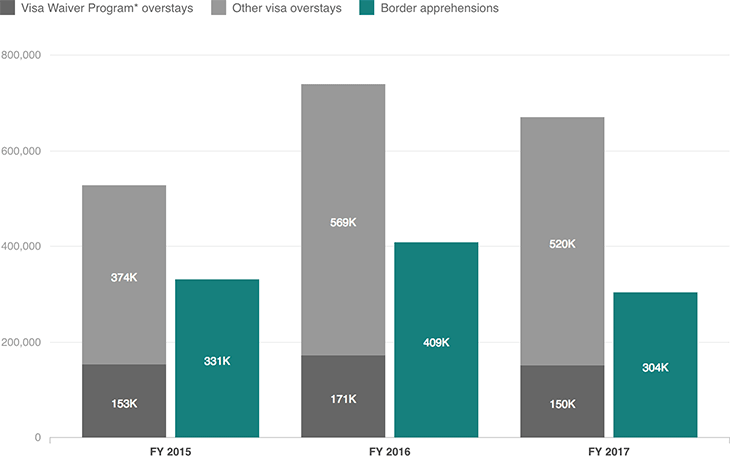 Visa overstays continue to outpace border apprehensions. In fiscal 2017, the number of immigrants who overstayed their visas was double the number of people caught trying to cross the U.S.-Mexico border. * The Visa Waiver Program enables people from 38 countries to travel to the U.S. for 90 days or less without a visa. Designated VWP countries include Germany, France, Japan, the United Kingdom and Singapore.